I've had a pair of Converse All-Star sneakers for years. My mom hates them (she's dubbed them "boy shoes") but they are so easy to throw on during the weekends, I find myself in them constantly. They're perfect for running errands in the neighborhood and great for biking around when the weather is nice. My current shoes are nearing their end, so I'm in need of a replacement with spring rolling around soon. I'll probably end up with something neutral that goes with everything (seriously, I wear them all the time) but a few fun colors and patterns caught my eye during the search. Which do you like best? 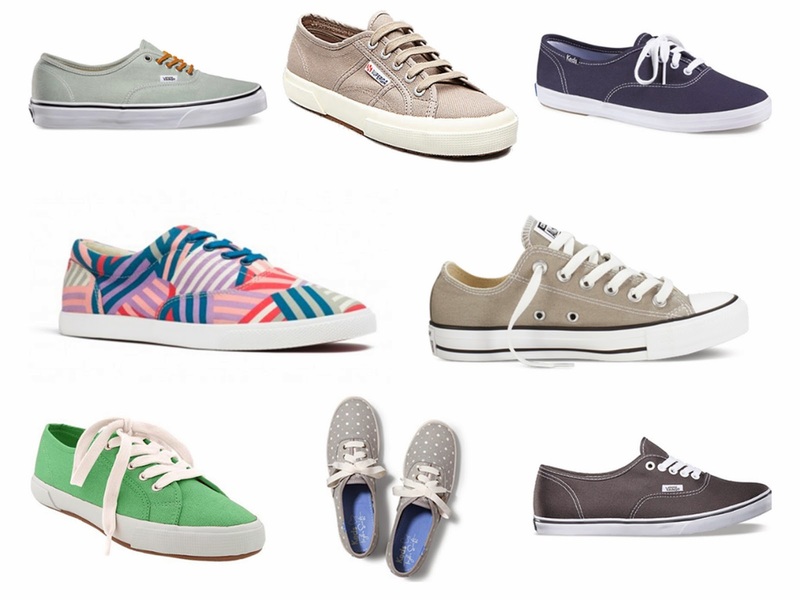 Any cute sneakers out there I am missing? Number 7 is an adorable pair. But I am bias to all things grey and dots. And the number 7.